It feels like absolutely ages since I've been able to do a proper outfit post! Now that the holidays are over and we are well into January, I wanted to show you what I am loving to wear at the moment. Pretty Little Thing recently got in touch and asked me to style a trend of my choice. 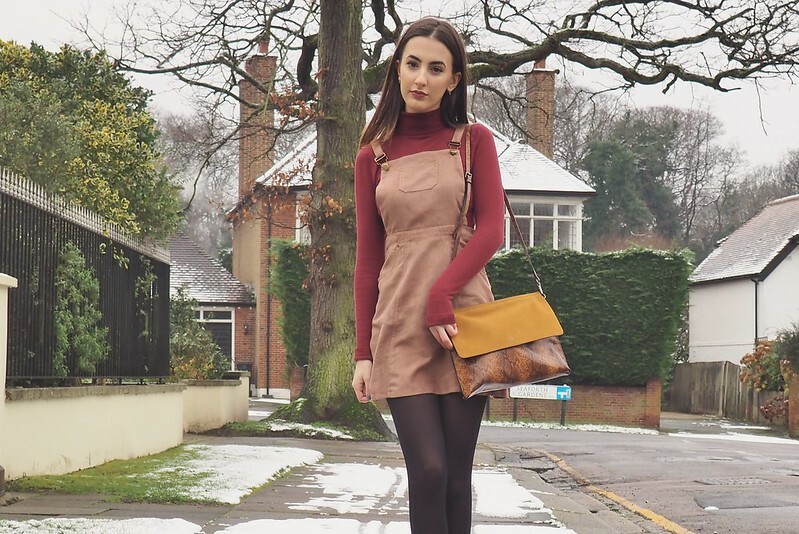 I chose the 70's Uptown trend from their range picking this cute little Suede Dungaree Dress*. These dresses are so in at the moment and I really love the look of a roll neck jumper underneath dungarees. Paired with this also suede cross-body bag from Zara it gives a 70's feel to the look. 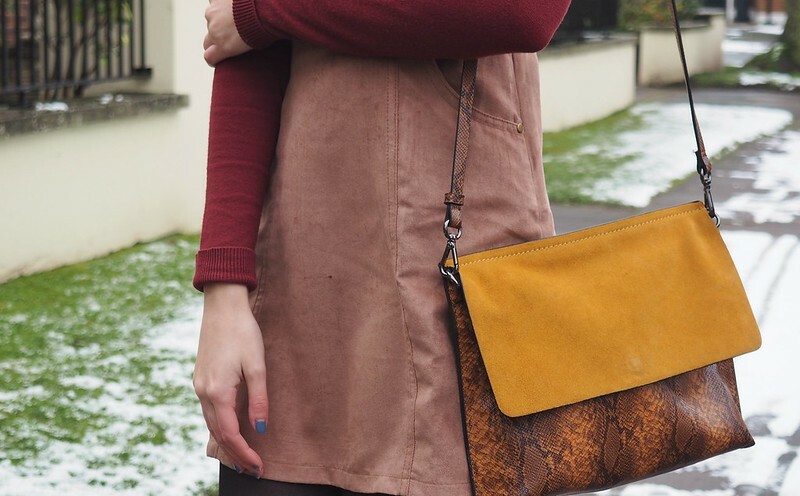 This bag is my absolute fave at the moment and it's the perfect size for what I need daily! These boots from Zara I posted on my Instagram about a month ago and everyone seemed to be as amazed with them as I am. I bought these back in November and *almost* ran towards them in the shop past all the crazy Christmas shoppers as it was (as cliche as it sounds) love at first sight. They're not the most comfortable of boots but when they look this good, who cares!